The Wall Street Journal is reporting that Apple is planning to release two new iPhones this year, each with a display bigger than the 4-inch iPhone 5s. This rumor isn’t anything new. We’ve been hearing about a bigger iPhone since as early as last summer. What surprises me is just how persistent the rumor continue to be. A bigger iPhone wouldn’t surprise me. 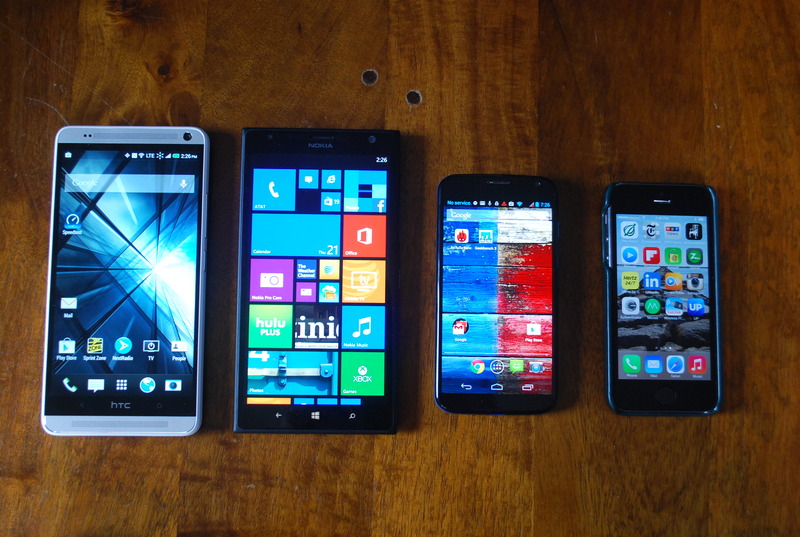 4 inches is beginning to feel pretty small when many new phones now start at 5 inches and up. I would be surprised to see an iPhone with a screen larger than 5 inches, though. After bucking the trend for so long, I just can’t see Apple venture into full-on “phablet” territory. I wonder if they will release the phones at the same time, or will is be first the smalle iPhone 6, and then later this year the iPhone 7? But will they really abandon the ‘smaller’ smart phones? Not everybody is waiting for bigger phones i’d say. the moment apple will do bigger than 4 inches, it will certainly loose one loyal customer. anything bigger than 4 inch looks cheap, very cheap. it reduces it’s user friendliness dramatically. i think they need to get their flagship phone on Verizon. i bought many new brands from China wholesales . there all brands are new and amazing i hope so for using also perfect. if microsoft wants to become a major player in the industry, would buy one today if they were available… The simple problem is that the UI is just to boring. With Samsung’s magazine UI coming out; which is ideally a better more functional version of the windows UI. A bigger screen. Amazing innovation from the king of innovators. 1. Particularly for those buying with a contract, it was priced too high, particularly in comparison to the much more powerful 5s. If you could get twice the phone for only $100 more, wouldn’t you take it? Almost certainly. If nothing else, a 5s will add that much more to the resale value. 2. The styling was ho-hum. The iPhone 5 and 5s look unique and beautiful. The 5c looks no different from dozens of other smartphones on the market. Apple could have sold a lot of 5c models if they’d sold them unlocked for the value conscious who want to choose their cell plan and priced them significantly less than they did. Who knows, Apple may even do that to clear out their 5c inventory when these new and larger models come out. I know I’d be tempted to get one to replace my aging 3gs, but only if it were sold unlocked and in the $200-250 range. More than that and I’ll just look for a used iPhone 5. The iPhone 5 is almost into that range on Craigslist in the university town where I live. Wonder what the problem was with the plastic 5Cs, for them to abandon it already?